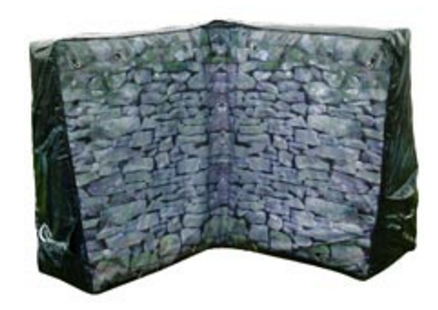 The Battlefield Inflatable L-shape Low Wall is great, especially for small, compact areas. Very quick to inflate and deflate. This gaming inflatable is a variation of the low wall. It can provide scattered cover in an open space. L-shape walls are inspired by the British stone-wall and are self-standing.